Decking is a fine solution for floors, open-air facilities or facilities in the humid environment. Decking may be used in open verandas, gazebos, terraces, bridges, cable garden paths, esplanades. 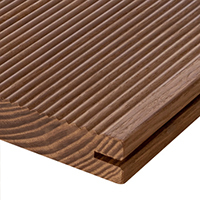 Decking is manufactured from the heat-treated solid ash. 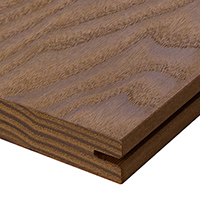 Thermo ash is resistant to moisture effect, keeps the high mechanical solidity of wood and prevents the growth of microorganisms during the exploitation. Coswick thermo ash has the deep dark honey color with perfectly distinctive texture. Ash tree pieces may decorate your house or garden for many years, being though completely eco-friendly. Heat-treating bio-proofs the wood and makes it solid (even when using outdoors), and, thus, increases the lifetime. “Velvet” and “Anti-slip” profiles make the finish non-slip and safe. Narrow wale on the material surface prevents the slip on the moist terrace. The heat treatment adorns wood with the deep color and conspicuous wooden texture. Coswick lasur protects the deep shade and life of colors. Mount system makes the installation fast and reliable, and ensures the perfectly smooth surface of terrace flooring. 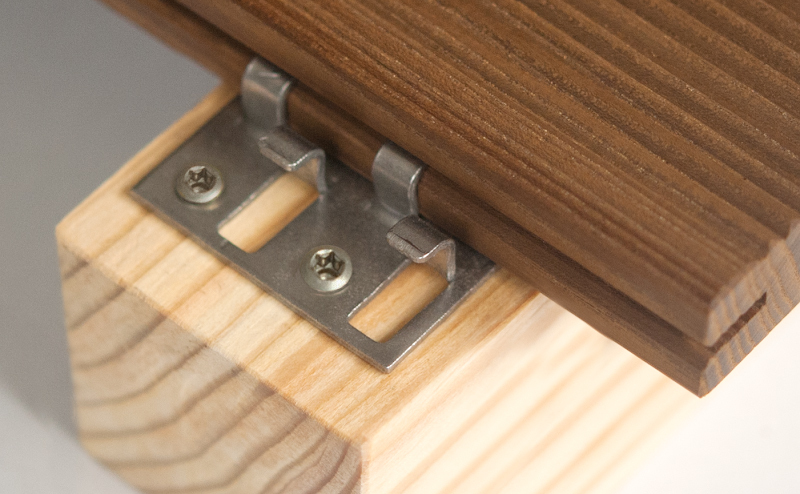 When the previous board is installed, the next board is not shifted due to the reliable connection with the floor beam and fast installation of all boards. 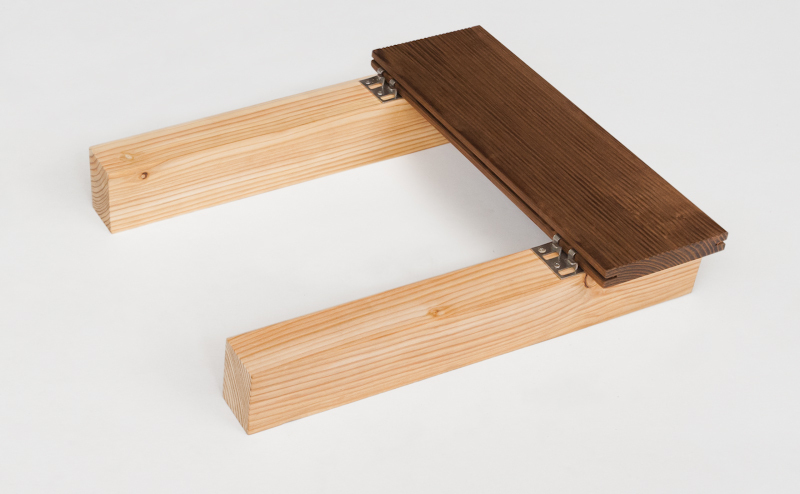 TD1 decking clip does not need to be tightened after the installation; it creates the expansion space of 4 mm. Decking has the special fitting that allows installing it without complicated tools. You can install the flooring by yourself or using the help of carpenters. Decking should be installed on the solid, long-life base of sleepers. When installing the decking, it is necessary to provide the water drain slope and the opportunity of free ventilation of the porch. 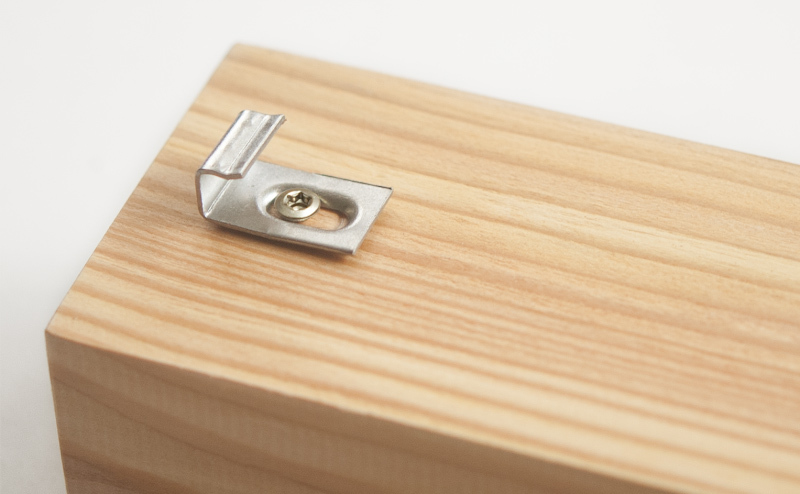 When installing, keep expansion gaps along the perimeter for at least 6 mm, between the boards for at least 4 mm (to be provided with the decking clip TD1). 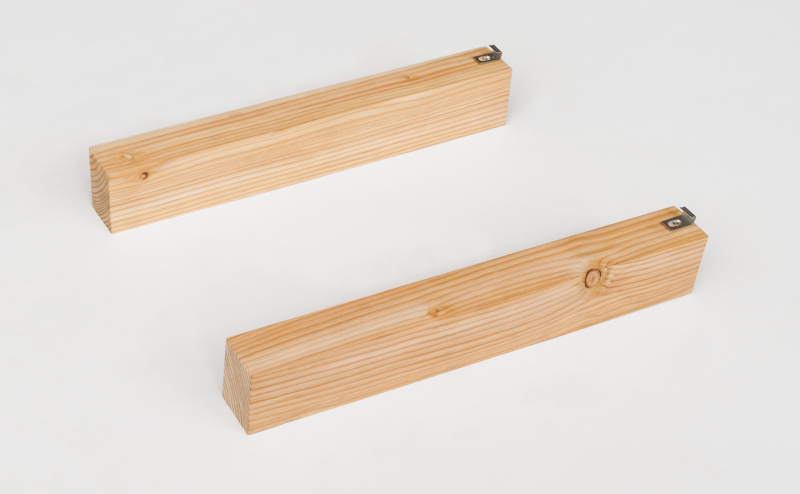 Recommended spacing between sleepers is 400 mm; the spacing between the sleepers supports is 800 – 1000 mm. Sleepers shall be waterproofed from supports. When assembling the porch, waterproofing layer or surface drainage should be fixed up. To preserve color, apply the protective lasur. 3. 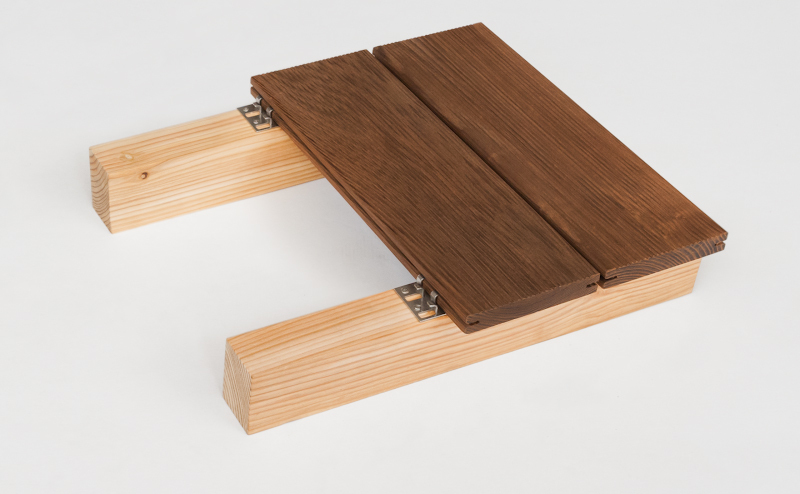 DECKING CLIP TD1 HAS TO BE INSTALLED IN ALL CROSS POINTS OF DECKING WITH THE SLEEPER. INSERT TWO TONGUES OF THE DECKING CLIP INTO THE GROOVE OF THE PREVIOUS BOARD AND FIX WITH SELF-TAPPING SCREWS SPAX ON THE SLEEPER. 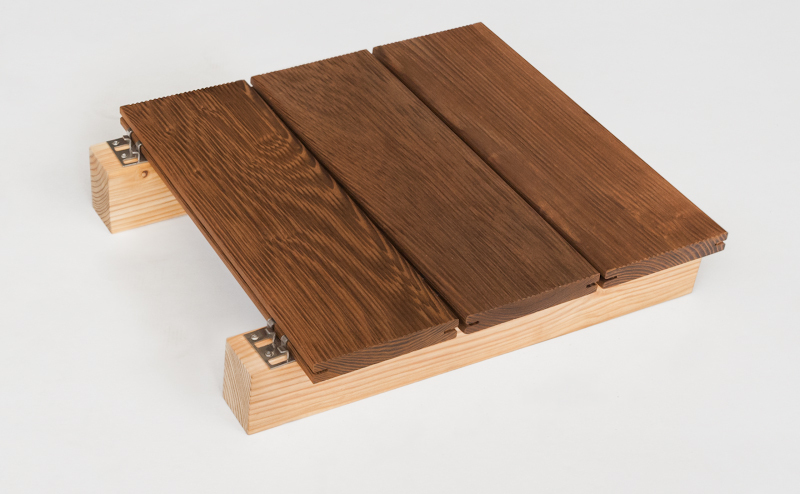 Thermal ash decking is designed to use outdoors. To keep the compelling original appearance it is necessary to carry out a timely, regular and upright care. When dirty (sand, foliage), it is necessary to clean flooring with a scrub brush. If necessary, a terrace can be washed with a garden hose and a scrub brush. Finish the terrace at least once a year with Coswick lasur.